This weekend me and my boyfriend Ryan spent the weekend in Paris. We got an early flight from London Gatwick on Saturday morning which was lovely as it meant we had the whole day in Paris. When we arrived we got the train into the centre of the city and went straight to Notre-Dame as this was one of the stops on the way to our hotel. We walked around the grounds and by the River Seine and then got the train to our hotel so we could check in and drop our bags off. 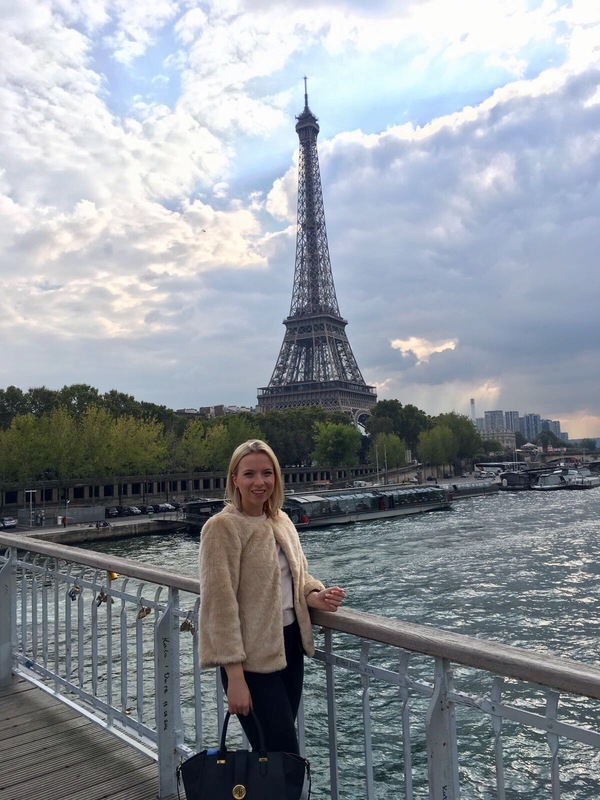 We stayed in a really cute boutique hotel about a 20 minute walk along the river from the Eiffel Tower, of course the first thing I wanted to do after checking in was to walk to the Eiffel Tower itself. After spending some time here we walked around the city eating crêpes along the way. Our evening meal was the best part we went back to the same restaurant that we went to last year called Veramente. It is amazing! 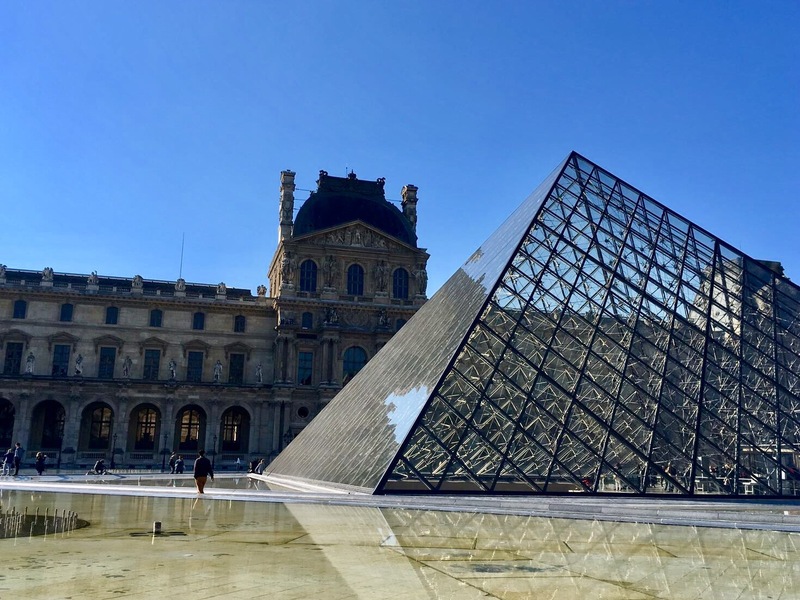 On Sunday morning we went to the Louvre, we spent a couple of hours looking around the museum and then went to have lunch in a nearby restaurant. 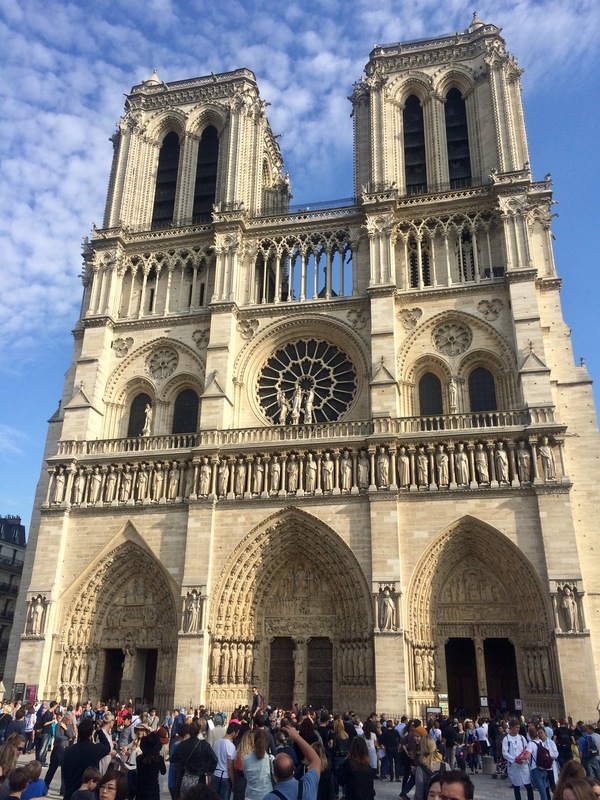 We visited Paris this time last year so I was very keen to re-visit my favourites parts again this year. It is such an incredible city and I cannot wait to go back there again soon. Have you ever been to Paris? Are there any places you think we should visit next time we go? Please follow me on Instagram to keep up to date with my posts. I’m going next weekend with my boyfriend for the first time ever, so excited to see everything!! I love Paris and I have been there many times. The Galeries Lafayette and Printemps rooftop terraces have an amazing view over the city *_* Have you visited them? Great photos! Looks like you had perfect weather. One tip next time you’re here would be to check out the Musée Rodin! It’s slightly less visited, but really beautiful – there’s a museum, of course, but the real pièce de résistance is the garden. It’s full of huge Rodin sculptures! A beautiful place to sit and relax. Haven’t been to Paris since a school trip when I was 15! I seriously need to go back! Looks like you had a great time! 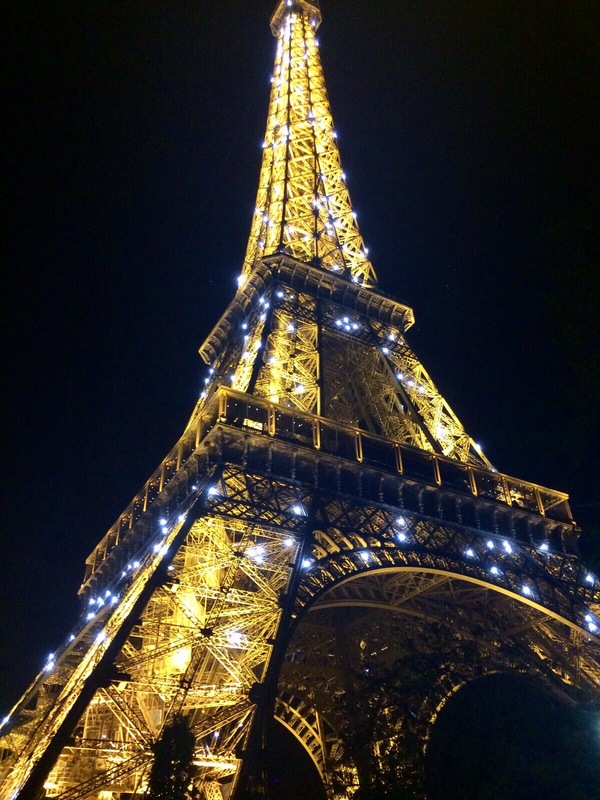 check out my latest Paris blog! Awww what a lovely weekend! We are going in April and cannot wait?